"Eddie helped me and our senior team navigate the challenges of growth, innovation and competition by integrating his practical business sense with his in-depth knowledge of neuroscience and change management." "Kate's insight has played a crucial role in developing Dell executives." Work with the experts. 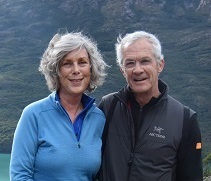 Worth Ethic Corporation is a nationally recognized executive coaching firm founded by Harvard-acclaimed authors, Kate Ludeman, PhD, and Eddie Erlandson, MD. Worth Ethic's crisp and systematic approach takes the mystery out of executive development and leadership assessment. Who has benefited from Worth Ethic executive coaching? Take a look at their client list. See their Harvard Business Review publication on leadership development. 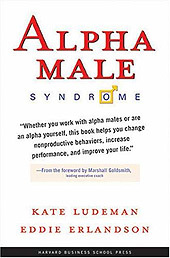 Read a summary of their much-publicized book, Alpha Male Syndrome. Take the Alpha Assessment. Then contact Worth Ethic for executive coaching and teambuilding programs that will change the way you do business. Kate Ludeman, PhD, founded Worth Ethic in 1988.